by Bethany Monk, CitizenLink : After 28 years of court battles — including three trips to the U.S. Supreme Court — a federal appeals court has ruled in favor of a Chicago-based pro-life group. Tuesday’s decision is a “long-awaited, hopefully final victory,” said Tom Brejcha, president and chief counsel of the Thomas More Society. The story began in 1986, a year after Joseph Scheidler’s book, “Closed: 99 Ways to Stop Abortion” was published. In the book, Scheidler — president of Pro-Life Action League — urges pro-lifers to “shut down” the abortion industry via a national crusade. Abortion activist groups then filed a federal anti-trust “class action” claim on behalf of abortion sellers and women seeking abortions in the entire United States. They later amended their complaint to include claims against another pro-life group, Operation Rescue. They also added claims under the federal extortion and racketeering (RICO) laws. In these claims, they said that each pro-life “sit in” or “rescue” was a federal felony crime of extortion. * In 1994, the Supreme Court ruled that the case could go forward to trial as a civil RICO action. * In 2003, the high court overturned a lower court jury verdict from 1998. They jury had found Scheidler and his co-defendants guilty. * In 2006, the Supreme Court unanimously ruled in favor of Scheidler — again. The Pro-Life Action League then went back to court asking for reimbursement of court costs. And in 2013, 7th Circuit Judge Charles Norgle awarded $63,391 to the group. The abortion activists appealed this decision. Tuesday’s ruling upholds Norgle’s opinion. Tags: Joseph Scheidler, pro-life, wins, historic, pro-life battle, To share or post to your site, click on "Post Link". Please mention / link to the Greater Fitchburg For Life. Thanks! Hobby Lobby Stands With Priests For Life Before Supreme Court! Will You? Fr. Frank Pavone: Priest For Life goes before the Supreme Court. Hobby Lobby releases statement of support for Priests for Life and our lawsuit against the Obama Administration and their HHS Mandate. "Together, we stand against this injustice, and for the law of God.” Hobby Lobby CEO David Green said that they stand with Priests For Life! Will you join us?! Tags: Priests for Life, Supreme Court, Hobby Lobby, To share or post to your site, click on "Post Link". Please mention / link to the Greater Fitchburg For Life. Thanks! Will You Join Thousands At The 2014 National Day of Prayer Event? Brian Fisher, President, Online For Life: Each year on May 1 — just two days away — the National Day of Prayer, praying citizens across America join together to pray in one voice on behalf of our country and its leaders, as well as for spiritual revival. We invite you and your church to dedicate your efforts on this year’s 2014 National Day of Prayer toward praying specifically to end abortion and restore a culture of LIFE in America. Every year, approximately 1.2 million of our fellow citizens are lost to abortion. That’s nearly 56 million lives lost since the 1973 ruling on Roe v. Wade! If we truly desire that God shed His grace on America, we must first confess the grievous sin of abortion that has permeated our culture for far too long. Won’t you stand with us this Thursday, May 1, as we pray to bring an end to America’s silent holocaust? Please visit www.weprayforlife.com to register now for the Online for Life Prayer Call that will take place in two days! You may also download a copy of the Prayer Call agenda to help prepare your heart and mind for this intentional time of prayer. Let’s commemorate this year’s National Day of Prayer by asking for God’s protection for the weakest and most vulnerable among us. Join Online for Life and our fellow laborers in the pro-life movement as we come before the throne of grace and pray to end abortion in America. Tags: National Day of Prayer, May 1, 2014 To share or post to your site, click on "Post Link". Please mention / link to the Greater Fitchburg For Life. Thanks! Chaplain Gordon James Klingenschmitt, PhD, Praying In Jesus Name: The IRS tax-exempt organization chief Lois Lerner is pleading the 5th Amendment before Congress, after shocking emails show she may have colluded with the Department of Justice to threaten criminal prosecution of Tea-Party Conservative groups, in an effort to silence them from criticizing the Obama Administration or exercising their First Amendment rights, reports ConservativeActionAlerts.org. "Chairman Darrell Issa (R-CA) the current chairman of the House Oversight and Government Reform Committee, and Rep. Jim Jordan (R-OH), chairman of the Subcommittee on Economic Growth, Job Creation and Regulatory Affairs released their response to documents they read that were obtained by Judicial Watch, which investigates and exposes government corruption and abuse. "Reps. Issa and Jordan allege that the newly released IRS documents reveal that Lois Lerner, the Director of the IRS Exempt Organizations office at the time, was in contact with Attorney General Eric Holder’s Justice Department officials regarding possible prosecutions of tax-exempt groups Lerner deemed to be 'dangerous' to the Democrats especially the Obama administration. "The release of new documents underscores the political nature of IRS Tea Party targeting and the extent to which supposed apolitical officials took direction from elected Democrats," Chairman Issa said in a press statement on Wednesday. "These emails are part of an overwhelming body of evidence that political pressure from prominent Democrats led to the targeting of Americans for their political beliefs,” added Issa. "Now I see why the IRS is scared to give up the rest of Lois Lerner’s emails,” said Chairman Jordan." After IRS officials met 155 times in the White House with Obama Administration officials, and the IRS confessed engaging in illegal and biased taxation of conservative groups, including pro-life and Christian groups, nobody was held accountable. That IRS scandal caused some liberals to call for President Obama's impeachment, as the worst abuse of IRS power since President Nixon. Shockingly, Obama is now "doubling-down" and pushing for even more IRS persecution and taxation of Christian groups, including non-profit 501c4s and soon 501c3s and Churches, reports Matt Barber of Liberty Counsel. Sadly, Obama "has quietly released a proposed set of new IRS regulations that, if implemented, will immediately, unlawfully and permanently muzzle conservative 501(c)(4) nonprofit organizations and their individual employees." "These Orwellian regulations will prohibit conservative 501(c)(4) organizations from using words like 'oppose,' 'vote,' or 'defeat.' Their timing, prior to a pivotal election, is no coincidence and provides yet another example of Obama’s using the IRS for 'progressive' political gain." The 1954 Johnson Amendment law is not just unconstitutional, it's also un-American. Hundreds of courageous pastors take a stand every October, by violating the Johnson Amendment law and preaching about politics (just one Sunday per year) in the pulpit. Many send transcripts to the IRS demanding their own punishment, and daring the IRS to sue them in court, or try to revoke their church's non-profit IRS status. So far the IRS has failed, repeatedly, to enforce the Johnson Amendment, because they themselves admit the law violates the First Amendment of the U.S. Constitution. The government cannot tax or punish free speech, especially in church. Religion itself is highly political, because God is God, and the devil wants to rule in His place. Nowadays the devil uses corrupt politicians to rule society and pass immoral laws. Throughout America's history, starting with the Revolution, our nation's pastors spoke freely on political and moral issues of their day. It was not only their privilege but their duty to preach truth to power, against immorality and corruption. Historian James H. Huston wrote of 1776: "Preachers seemed to vie with their brethren in other colonies in arousing their congregations against George III." Mr. Huston also discovered the House of Representatives sponsored church services in its chambers for the first 100 years. They only stopped when better transportation took members of Congress home for the weekend. In the mid-nineteenth century, evangelical Christians were primary agents in shaping American political culture and ending slavery, according to Richard Carwardine, author of Evangelicals and Politics in Antebellum America. "Political sermons, triumphalism and doom laden, redolent with biblical imagery and theological terminology, were a feature of the age," he writes. In the 1856 election, one minister distilled the question before voters as a contest pitting "truth and falsehood, liberty and tyranny, light and darkness, holiness and sin . . . the two great armies of the battlefield of the universe, each contending for victory." Language like this today earns a pastor a visit or letter from the Internal Revenue Service. In 1992, the Church at Pierce Creek in Vestal, New York placed a newspaper ad warning Christians not to vote for Bill Clinton for president. Casting a vote for Clinton, the ad warned in rhetoric echoing 1856, would be committing a sin. The IRS took notice and three years later revoked the conservative church's tax exemption. But the IRS does not enforce this law fairly. For example in 1994 another church in New York welcomed "New York governor Mario Cuomo (D-NY) campaigned for reelection on a Sunday morning at the Bethel African Methodist Episcopal Church in Harlem. Cuomo was rewarded with a long, loud round of applause and an unequivocal endorsement from the pastor," according to a Newsday report. But the IRS never stops liberals. The American Center for Law and Justice, which represented the Church at Pierce Creek, uncovered evidence at trial that the IRS knew of more than 500 instances in which candidates appeared before churches, as happened with Governor Cuomo and Bethel A.M.E., but took no action to revoke these churches' tax-exempt status. The Johnson law is being used by the Government to shape the messages of the Church and its pastors. Conservative churches are silenced, but liberal churches are freely politicized. This Goverment censorship of ANY Church is plain and simple illegal. The First Amendment states that "Congress shall make no law respecting an establishment of religion, or prohibiting the free exercise thereof; or abridging the freedom of speech." Yet that is exactly what Congress did, and the IRS now does, by silencing churches. Bottom line: Our pastors are being silenced. Let's take the gag off conservative churches, and restore the First Amendment freedom of speech to our pulpits. Tags: IRs, threatens, Christians, TEA Party, conservatives, Praying in Jesus name, Chaplain, Gordon James Klingenschmitt To share or post to your site, click on "Post Link". Please mention / link to the Greater Fitchburg For Life. Thanks! by Bethany Monk, CitizenLink: Mississippi Attorney General Jim Hood argued in a federal appeals court today in favor a state law that helps protect women. It requires abortionists to have admitting privileges at a local hospital. “Women deserve real doctors, not transient abortionists who have no connection to their patients or their communities,” said Alliance Defending Freedom Senior Counsel Steven Aden, who was at the hearing. Tags: Mississippi, attorney gene3ral, defends, pro-life bill, HB 1390 To share or post to your site, click on "Post Link". Please mention / link to the Greater Fitchburg For Life. Thanks! 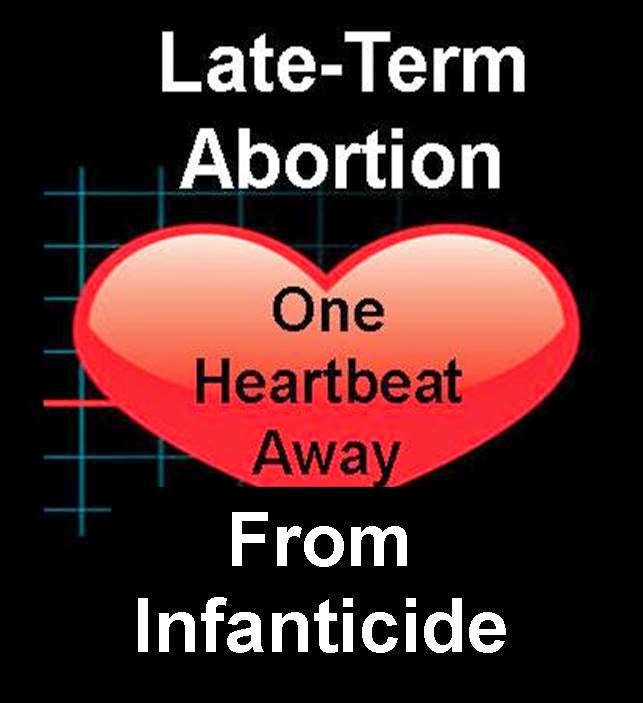 Tags: One Heartbeat Away, infanticide, late term abortion, abortion, Project Wildfire, Exposing Planned Parenthood To share or post to your site, click on "Post Link". Please mention / link to the Greater Fitchburg For Life. Thanks! Brendan O'Morchoe, National Director of Field Operations, Students for Life of America: When you are working or volunteering in the pro-life movement day in and day out, you can easily get consumed by the big picture and lose sight of what is happening every day in our nation’s abortion mills. As we worry about money, politics, and time away from family, we can get too immune to the killing. Last Saturday, I was boarding a flight coming home to Virginia from Omaha, Nebraska. I had been in Kearney, last weekend speaking to students and local pro-life activists about how to create a Culture of Life in their community and how we are all called to the pro-life movement. Oddly enough, a lot of people asked me that weekend how I kept up my busy travel schedule and where I get my passion and energy. It is the moments like what happened on my flight Saturday night, confronted by evil, that keep me going. When I sat down and looked across the aisle, I saw none other than notorious late-term abortionist LeRoy Carhart on his way to kill 3rd trimester babies, as his does every Sunday morning, at his Germantown, MD facility. I was face-to-face with a man who has killed thousands upon thousands of babies with his own hands, who is responsible for the deaths of at least two women and who has so callously defended his business. What do you really say to someone like that? How can you reach them? I wasn’t sitting close enough to have a conversation as the aisle and his wife were between us. Plus, I felt he would shut me down right away, anyway. I knew I couldn’t sit that close to a man who represented so much evil. My entire body was shaking uncontrollably. So, I asked to be moved up a couple rows where I couldn’t see him, but he could still hear me. Then for the next 2 hours, I prayed out loud for his conversion and an end to abortion. When we landed, I waited for him to walk past me, and I called his name. He looked me right in the eye, and I said, “LeRoy, we’re all praying for you.” He mumbled something incomprehensible and stalked off, but I knew I had gotten to him. I’m not the first pro-lifer to confront Carhart and, hopefully, I won’t be the last. Just as with any dialogue or conversation with an abortion-rights supporter on a campus, in church, or at work, each of us is only responsible for planting or watering the seed of truth, hoping and praying that it will one day bear fruit. And while we might not always know the impact that our actions have on campuses and communities across the nation, we cannot forget what abortion really is, the lives and souls that are at stake every day across America. Sitting next to LeRoy Carhart reminded me of one thing for sure. We cannot let fear, intimidation, or our busy lives stop us from action. We cannot rest until abortion is abolished from our nation. Tags: Brendan O'Morchoe, Students for Life of America, Time I Sat Next to an Abortionist, LeRoy Carhart, To share or post to your site, click on "Post Link". Please mention / link to the Greater Fitchburg For Life. Thanks! 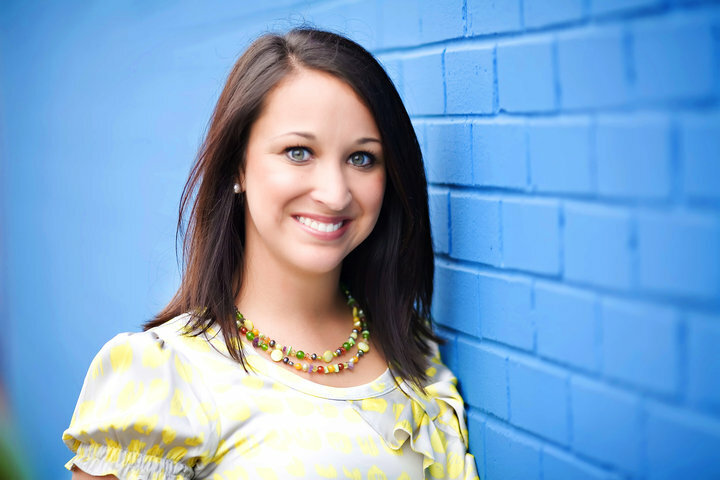 by Bethany Monk, CitizenLink: Mississippi Gov. 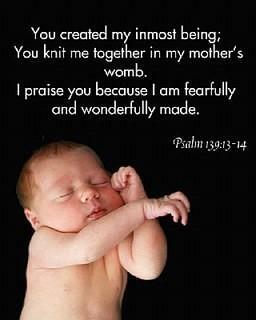 Phil Bryant signed legislation today that prohibits abortions after 20 weeks, when preborn babies begin to feel pain. The law requires a physician to determine how far along a woman is in her pregnancy prior to an abortion. It was based on Americans United for Life (AUL) model legislation, which also focuses on the health risks of abortion for women. The bill passed overwhelmingly in the House, 90 to 21, and the Senate, 21 to 10. The law does include some exceptions. Tags: Mississippi, Bans Abortions, After 20 Weeks, CitizenLink To share or post to your site, click on "Post Link". Please mention / link to the Greater Fitchburg For Life. Thanks! Is Massachusetts Governor Patrick lying about Justina? Mathew D. Staver, Chairman, Liberty Council: Massachusetts Governor Deval Patrick is either lying, profoundly mistaken, or intentionally twisting details to cover the Commonwealth’s massive overreach in the kidnapping of Justina Pelletier. Columnist Michael Graham reported in The Boston Globe that the Governor penned a letter to Rep. Marc Lombardo claiming that the Massachusetts Department of Children and Families (DCF) has a “detailed record of neglect” against the Pelletiers in their home. “I see in your letter that you continue to misunderstand the role of the Commonwealth in Justina’s case. Justina is in DCF custody because 'a judge ruled that her parents were unfit to care for her' in February 2013, [a] decision based on a detailed record of the history of neglect in the home." Graham then boldly asked the very questions we would all ask -- especially after reading the Governor's letter: "What detailed record? What history of neglect in the home? Where did that come from?”The truth is, Deval Patrick can't tell you the truth. He can't tell you that charges of abuse or neglect against the Pelletiers were trumped up when physicians at Boston Children’s Hospital (BCH) conspired with workers from the Massachusetts DCF to perform a “parent-ectomy” on Justina.Justina had been receiving successful treatments at Tufts Medical Center, a highly reputable medical institution, for an extremely rare and potentially deadly condition called Mitochondrial Disease. Tufts sent the Pelletiers to see a specialized gastrointestinal physician at BCH, who she never saw before her case was hijacked by a resident doctor.BCH physicians were disturbed when the Pelletiers strongly disagreed with their diagnosis that Justina suffered from Somatoform Disorder, a rare and difficult to diagnose mental condition. In refusing to accept their opinion, the Pelletiers tried in vain to discharge her from BCH and return her to Tufts. In order for BCH to detain and treat Justina on their terms with their diagnosis, she would have to be removed from the Pelletiers' care and become a ward of the state. The plan was set into motion with DCF. Alleged “medical abuse” charges were filed against the Pelletiers for following the prescribed treatments of the Tufts physicians, which BCH arrogantly dismissed as invalid. Justina was removed from her family over 14 months ago. At that time, the DCF knew very little about the Pelletier family or Justina. The DCF has never visited the Pelletier home or witnessed any circumstances of neglect – except the “medical abuse” allegations they cooked up. As for proof of BCH's inaccurate diagnosis, in 14 months under BCH and DCF “treatments,” Justina’s condition has deteriorated. She has gone from being a vibrant figure skater to a wheelchair-bound invalid. Her condition is now considered "dire" and "life-threatening. "As a side note, Governor Patrick’s wife, Diane, has long served as an overseer of Boston Children’s Hospital. We are calling on every elected official from Massachusetts and Connecticut to stop the DCF’s own neglect and malicious medical abuse of Justina before it's too late. In short, we are demanding her release back to the care of her loving family. Using Liberty Counsel’s Fax Barrage, your impactful message will be delivered to the governors of both Massachusetts and Connecticut, the respective attorneys general, and lawmakers of both states. Please join us in this important initiative today!The activism of grassroots Americans and friends of Liberty Counsel is starting to see momentum in the Massachusetts political arena regarding the unlawful imprisonment of Justina Pelletier.So far, we have delivered “Free Justina” petitions and “Get Well” cards, provided legal expertise, and participated in a groundswell of activities on behalf of Justina. Liberty Counsel has also filed a habeas corpus petition with the Massachusetts Supreme Judicial Court asking for the immediate release of Justina from her unlawful detention. As I noted earlier, DCF has absolutely no reason to continue to hold Justina, nor did they have any reason to take her in the first place. A disputed medical diagnosis does not warrant the removal of a child from the care of her parents and family. The DCF is also under intense scrutiny for the amount of money they have spent on the Pelletier case, while other children remain missing or deceased in their system. Together, we have been extremely proactive in battling the Goliath-sized DCF on behalf of the Pelletier family and I'm urging your continued support right now. Tags: Massachusetts, Governor Patrick, DCF, Justina Pelletier, Mathew D. Staver, Liberty Council To share or post to your site, click on "Post Link". Please mention / link to the Greater Fitchburg For Life. Thanks! "My religious and personal belief is that life begins at the very beginning… I think that persuasion is part of this. I think the country is somewhere in the middle and we're not changing any of the laws until the country is persuaded otherwise. "That is more than a disappointing answer. It is a signal of surrender. Notice that Paul answered the question purely in terms of political strategy. 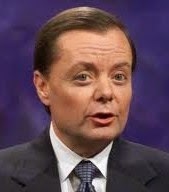 He did not spend one second trying to persuade his audience (the very thing he says must be done first) that women are exploited by abortion and babies are deprived of their God-given right to life. What Paul is doing on values issues is the same thing the GOP establishment does -- he is treating the sanctity of life like a problem to be managed rather than a cause worth fighting for. Sadly, this is not the first time Paul has done this. When asked about efforts to redefine marriage last month, Paul said that the GOP will have to "agree to disagree on social issues" and that some voters don't want to be "festooned by those issues." To his credit, Paul will fight for his libertarian agenda of smaller government and less spending -- and I am all for that. But his position on values amounts to a slow-motion surrender. It takes a lot less persuasion to defend the humanity of an unborn baby than it does to defend tax cuts for billionaires or to argue that your mother's Social Security check is too big. On life and marriage, the public is at worst evenly divided. Paul is willing to fight for some dubious things -- massive cuts in defense spending, for example, and retreat in the war on drugs. But on life and marriage, he continues to waiver. Tags: Rand Paul, waviers, on life, on marriage, Gary Bauer, Campaign for Working Families, To share or post to your site, click on "Post Link". Please mention / link to the Greater Fitchburg For Life. Thanks! Does the U.S. Use Dead Preborns to Provide Electricity? WHERE is our main stream news media and political leaders about THIS ATROCITY and HOLOCAUST? by Mark Horne, Political Outcast: When I read Bob’s post last month, “From the Nation That Gave Us the Magna Carta: Burning Babies for Indoor Climate Control," I breathed a sigh of relief. At least it isn't happening here, I thought to myself. I don’t understand how it works because I don’t see how incinerating a tiny corpse can generate enough electricity to be worth the transport costs, but according to LifeSite news, something similar is going on in Oregon, courtesy of abortions in Vancouver, British Columbia. The British Columbia Health Ministry has admitted that the remains of babies destroyed by abortion in B.C. facilities are ending up in a waste-to-power facility in the United States, providing electricity for residents of Oregon. Kristan Mitchell, executive director of the Oregon Refuse and Recycling Association, told the B.C. Catholic that the “biomedical waste” likely ends up at the Covanta Marion waste-to-energy facility in Oregon since it is the only facility that uses waste to power the grid. The facility confirmed that it still receives and incinerates B.C. medical waste. The power facility, located in Brookes just off the I-5, burns waste in two massive boilers at a temperature of about 2,000 degrees Fahrenheit. The heat transfers into water tubes, which creates steam to drive turbines. The turbines generate electricity. A 2007 article about the Marion waste-to-energy facility that appeared in the Willamette Live — ironically titled “Burn, Baby, Burn” — stated that at the time the incinerator burned about 800 tons (1,764,000 pounds) of medical waste per year.I guess this shouldn’t shock me since I know that abortion is legal and, obviously, something had to be done with all those dead bodies. I don’t know if incinerating them for electricity is especially worse than flushing them down a sewer or leaving them in a landfill. The bottom line is that the killing needs to end! Both in the U.S. and in the rest of the world. Tags: Oregon, waste to energy facility, Oregon, Canadian dead, aborted babies, abortion To share or post to your site, click on "Post Link". Please mention / link to the Greater Fitchburg For Life. Thanks! 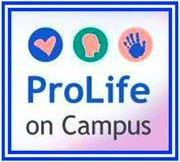 Get your Pro-Life Student Event-in-a-Box! Shame On These Pro-Abortion Senators! American Life League STOPP Report!